One of my favorite collections of the season has to be the adorably wearable Spring/Summer 2013 collection by Rachel Antonoff. Each season, her presentation is cuter than the last and this season doesn’t disappoint. 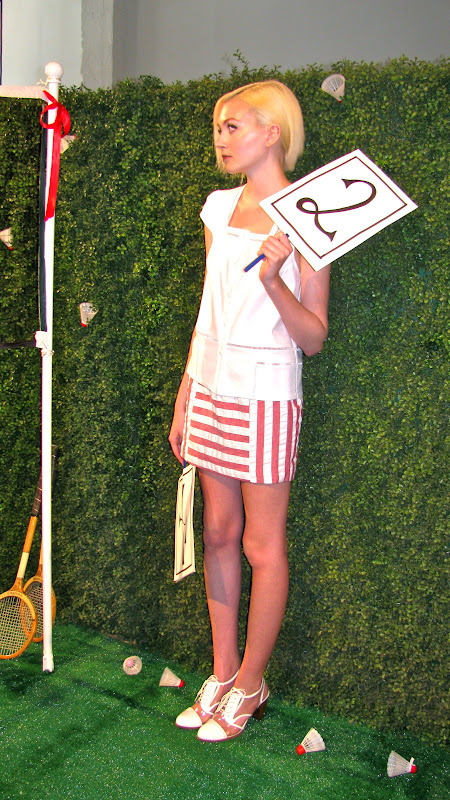 Her garden party of fashion, was a wonderland of preppy, school-yard looks with a hint of classic edge. The inspiration,1977’s scientific film Powers of Ten, can be seen in the mesmerizing silk prints, which are actually aerial garden views and in the maze itself, which gives the feeling of being inside the print. From models playing badminton and carving into trees to eating cake and sitting pretty with a kitty, everything came together to create a fun, interactive element that made the show different than the rest. 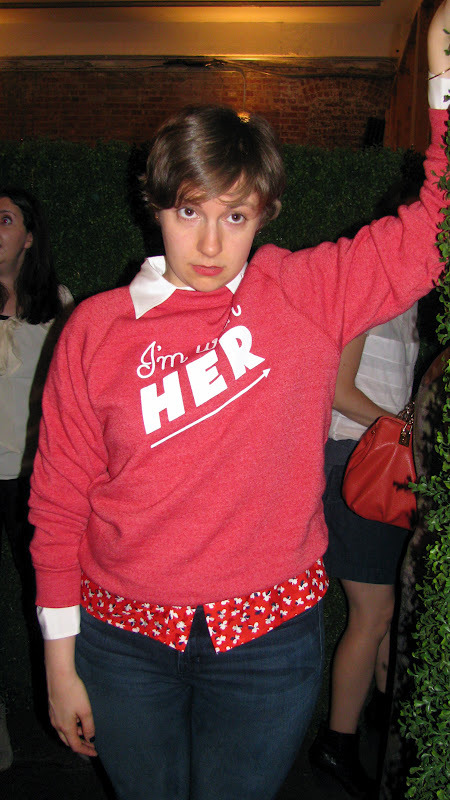 Lena Dunham was spotted showing off her new pixie do and striking a pose in the “I’m With Her” sweater from the new collection. Is anyone else still dying for the Birdie Forever sweater from the last collection?! I admit, I had an inner fangirl moment when I saw Lena Dunham, but kept my cool long enough to compliment her shoes from the new collection and tell her how much I’m love Girls! Here's the adorable designer herself. 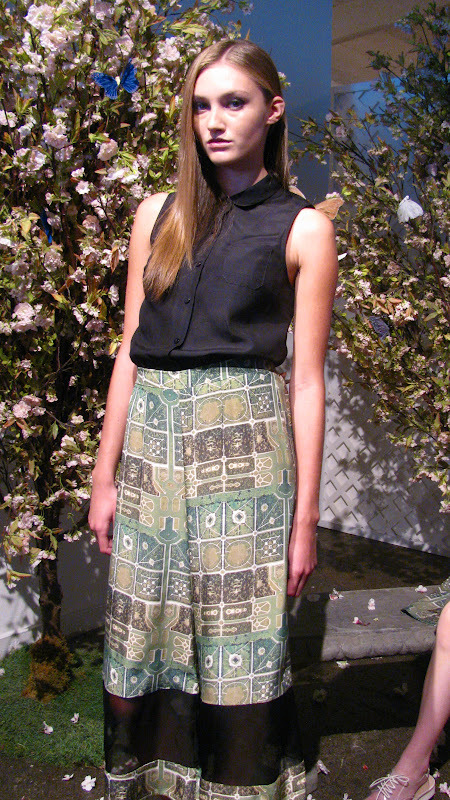 This model was in total character..oh and just look at that print! 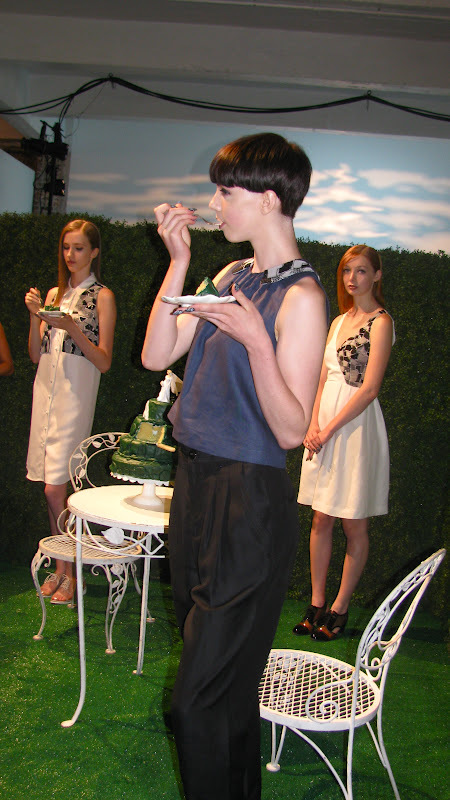 Models eating at a fashion show?! whaa? Note the two brides on the cake! Now for my favorite part..the shoes! These particular saddle shoes are embroidered with the names of all of Rachel's closet (and coolest) friends like Lena, Jack, Jane, Sophie, Mae. I have a weakness for saddle shoes so I can't wait for these to show up on the BASS website! Did I mention the adorable and somewhat regal cat there? A trend perhaps? 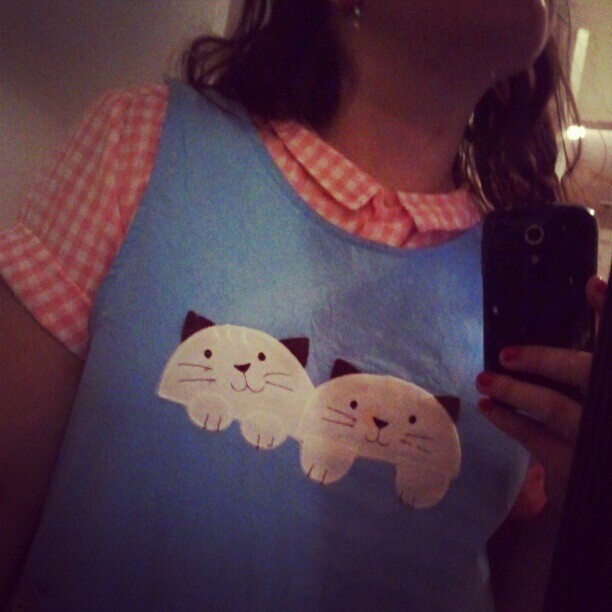 I forgot to get a proper outfit shot, but this is what I wore to the show. It seems pretty appropriate actually!